Oxford, 1960. There’s a murderer on the loose and two unlikely heroes are poised to solve the case. 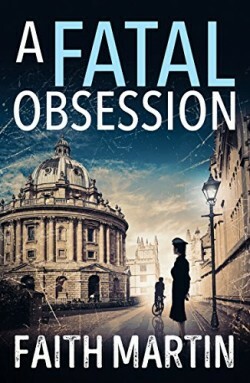 In the hope of getting her out of the way, Trudy’s senior officer assigns her to help coroner Clement Ryder as he re-opens the case of a young woman’s death. She can’t believe her luck – she is actually going to be working on a real murder case. Meanwhile, the rest of the police force are busy investigating a series of threats and murders in the local community, and Clement can’t help but feel it’s all linked. A gripping, twisty crime novel that you won’t be able to put down. Perfect for fans of Agatha Christie and M.C. Beaton.